Biotech company to integrate with technology company to change the future of medicine. Biotech company to integrate with technology company to change the future of medicine focusing on documentation-based care and increased access to new science. ROCKWALL, TX, UNITED STATES, March 2, 2017 /EINPresswire.com/ -- iSTEMCELL1, a Rockwall Texas Biotechnology company, announces today its integrated solutions approach will include a big-data company, technology company and a marketing company to help shape the face of medicine in the future. At a meeting earlier in the week, iSTEM medical director Dr. Darcy Brunk is quoted "Stem cells could hold answers to many chronic diseases and with thousands of real-life testimonials, and we can't just look the other way." Dr. Brunk goes on to say,"One of these testimonials indicated results from a stem cell injection in less than 10 days." iSTEMCELL reports the problem is that data and technology are not being communicated to the appropriate stakeholders. Biotech and other medical organizations are great at the science - however, delivering the news, crafting the message, and supporting it by scalable data has always been a challenge. This is why the following stakeholders are going to work together to increase access and knowledge for both the general public as well as other providers and stakeholders. iSTEMCELL will act as the central portal for education, interaction, and community. With roots in the future of regenerative medicine, iSTEMCELL will become the leading source for related topics. What A Relief2 Pain Centers (WAR) will leverage their goal of 1500 locations nationwide to provide easy access to the technology and services provided by the consortium. Another important factor: WAR utilizes documentation-based care for their current infrastructure, and the group will lean heavily on their big data collection of over 150,000 users worldwide, along with their ability to utilize big data in very forward-thinking ways. Electrical Medicine, the pioneer in microcurrent therapy, will join the initiative to leverage all the resources of the newly built BIOtech trust, and at the same time provide additive steps to protocols and technology that will also shape the future of patient care. 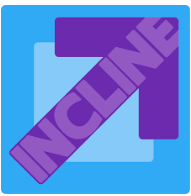 Incline3 is a global leader in digital optimization and will be providing marketing, digital advertising, TV, social media and related services to ensure that consumers and other interested parties find the message and opportunities that are sure to grow out of this unique approach to healthcare in the future. The4syndicate has been tapped to manage backend, and application development for this initiative. These are the guys responsible for the technology industry's auto-scaling server farms, iNETportal, and more retail platforms like BlabAWAY social media. The group stated the future of healthcare is connecting stakeholders, users, and industry together to make meaningful, scalable solutions to change the delivery and access to healthcare. We have an open invitation to other organizations, companies, and individuals that believe in the #ARTLAB (A Rising Tide Lifts All Boats) mindset, and look forward to working together to provide a brighter future for all!